Supercars CEO James Warburton is hopeful that the future of the ITM Auckland SuperSprint will be secured within weeks. While Pukekohe has been allocated a November 2-4 slot to once again be the penultimate round of the championship next year, a deal for the event is yet to be finalised. Warburton has confirmed that only a Memorandum of Understanding for a new three-year deal with the Auckland Council’s events arm, ATEED, has currently been signed. “Our focus is on renewing the agreement and it is certainly looking very positive following discussions this weekend,” Warburton said. “Our teams and drivers really enjoy coming to a country with an extremely strong motorsport heritage and culture. “It has been particularly evident this weekend with three Kiwis fighting for a championship, and of course the Jason Richards Trophy. ATEED General Manager Destination, Steve Armitage, would confirm only that discussions continue to take place. "Contract negotiations are ongoing," he said. "ATEED will conclude these negotiations before we make any further announcements." The negotiations come while New Zealand drivers are enjoying unprecedented levels of success in the championship. Shane van Gisbergen last year became the first Kiwi to win the title in 21 years, while Scott McLaughlin and Fabian Coulthard currently sit second and third in the 2017 standings. Pukekohe Park circuit owners the Counties Racing Club have this year invested over $600,000 in resurfacing sections of the track as part of efforts to improve the facility. Pukekohe’s current FIA license is in place until 2019, with more resurfacing expected to be undertaken before that deadline is reached. A major sponsor for the Supercars event is already locked in for the next three years, with building supply firm ITM recently affirming its commitment through 2020. 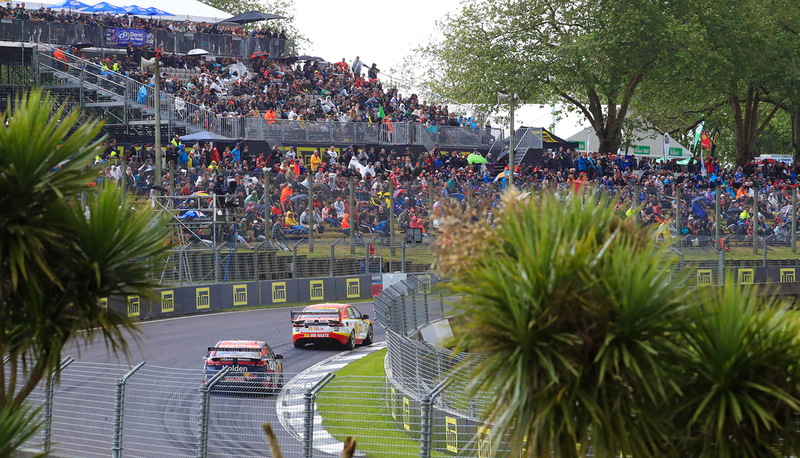 This weekend marks the 12th time that Pukekohe has hosted a Supercars championship event, with spells from 2001-’07 and 2013 onwards coming either side of a Hamilton street race.